There’s no denying that furniture can transform a workplace. When a chair or couch feels good, you feel good. Furniture can change the expression of an office and instantly convey a brand’s identity. But office furniture is much more than a decorative item. It’s an investment. With proper planning, you can easily extend the life of your furniture without having to purchase new pieces. And with the proper care, it can withstand the wear and tear of an active workspace and maintain it’s beauty and function for years to come. 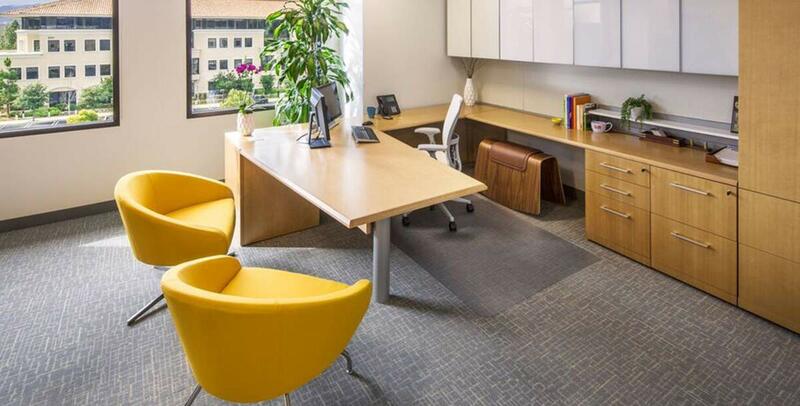 Below are 4 insider tips to get the most out of your workplace furniture. With nearly 30 years in the industry, we know firsthand that this is one of the most important decisions when buying contract furniture. Backed with knowledgeable account teams and 24/7 customer service support, your workplace solutions provider can help find the right furniture for your office design. An experienced professional will also help make sensible suggestions for optimizing your ROI. Whether it’s being part of the design conversation, executing your furniture request, or managing a warranty issue, a well-versed wholesaler is your best asset. As with other valuable purchases, make sure your furniture has a comprehensive warranty plan. Be assured that your pieces are built to last. A good warranty means that the manufacturer stands behind their product. As a trusted partner, your furniture provider will help navigate warranty issues as they arise and recommend brands that they back. Don’t overestimate the power of refreshing dated or worn out furniture. It will be more cost-effective to reupholster, refinish, or deep clean a piece than to replace it altogether. Furniture with a sturdy foundation and made from durable materials are the perfect candidates for a “redo”. While not an obvious solution, design a flexible office with adaptive and reconfigurable furniture. Systems furniture, including wall systems and workstations along with modular seating, are an excellent way to ensure longevity of your furniture investment. And at the same time, you will be providing employees with customizable solutions to best fit their changing needs. Thinking about changing your office furniture or looking to refresh your workplace? Speak to one of our strategic account managers to learn how they can maximize your contract furniture budget and optimize your workplace needs.